This is a toy I stumbled upon a few weeks ago on eBay by complete chance. 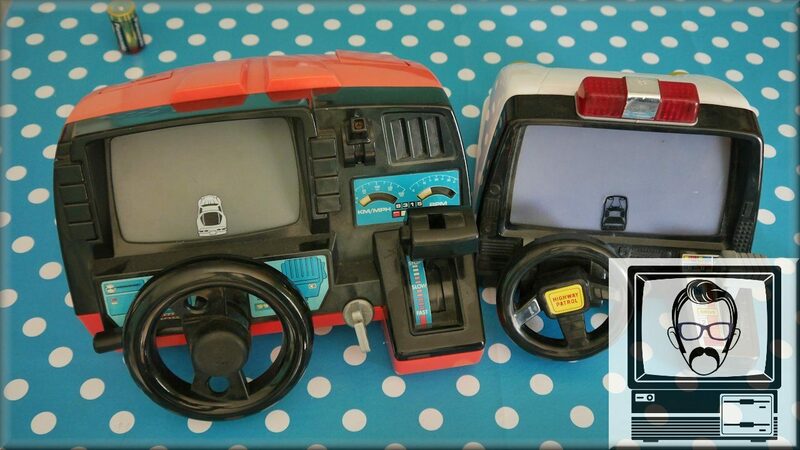 It’s more famous rival, the Tomy Turbo Racing Dashboard is well known, however it’s not the one I had as a kid. I owned this bessie. It’s a Corvette (sort of)!! Made originally in 1985 in Hong Kong, this toy provided me with endless hours of enjoyment. Now, given the fact that the road itself repeats every 2 seconds (yes, that is right), you might wonder how. But to my 5 year old self, it did not matter in the slightest. It didn’t matter that you couldn’t crash the car and it certainly didn’t matter that is made an insumountable amount of noise, especially in high gear. I did notice that although the toy takes 4 ‘D’ cell batteries, they were very hard to fit into the compartment. In the end I had to use an aggressive amount of force just to get the battery door shut. It’s almost like batteries have increased in size since the 80’s…. very odd. Check out the video and form your own opinion. The video contains a special guest reviewer who may return in future. View the unboxing of this product. Also, here’s a link to Ashen’s video about the Outrun game I mentioned. Enjoy!